Amie Vague is a trial lawyer who draws on experience gained during appellate court clerkship. Before joining Lightfoot, for two years Amie clerked for Judge Camille R. McMullen of the Tennessee Court of Criminal Appeals. This experience provided her with invaluable insight into the inner workings of trial and appellate courts that she puts to use every day representing her clients. At Lightfoot, Amie maintains a varied practice that includes work on trial and appellate matters involving product liability, medical malpractice, professional liability, commercial litigation, employment law, environmental and toxic torts, and white-collar criminal defense and corporate investigations. 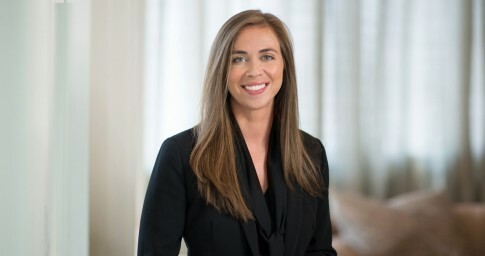 Among her notable cases, she successfully petitioned the Alabama Supreme Court for a mandamus order directing the trial court to dismiss a taxpayer action against an international corporation. Amie also has successfully removed more than 40 state court actions to federal court, including the removal of an international commercial dispute based on the New York Convention. Amie discovered her passion for litigation while attending Pepperdine University School of Law. She won the Moriarty First-Year Moot Court Competition and, in her second year, she joined the Interschool Moot Court Team and quickly became a valuable asset. She led her team to championships in the Dalsimer and Chicago Bar Association Moot Court Competitions, received numerous individual oralist awards and was selected to serve as co-chair of the team. During her third year, Amie traveled to Hong Kong to represent Pepperdine at the Willem C. Vis (East) International Commercial Arbitration Competition, where she was awarded First Runner-Up for Best Oralist out of nearly 400 participants. Despite having lived everywhere from Nashville to Los Angeles, Amie considers Alabama her home. Outside of the office, Amie enjoys cycling, fly fishing and spending time with her Great Dane, Jada. Petitioning the Alabama Supreme Court for a mandamus order directing the trial court to dismiss a taxpayer action against an international corporation. Petitioning the Alabama Supreme Court for a mandamus order directing the trial court to enter partial summary judgment in favor of a medical device manufacturer. Removing more than 30 state court matters pending against an international corporation to federal court and obtaining the transfer of each to multidistrict litigation proceedings. Researching and drafting an appellate brief for appeal pending before the U.S. Court of Appeals for the 11th Circuit, which was affirmed, in a part, on an issue of first impression in the 11th Circuit. Obtaining summary judgment on behalf of a family-owned trucking company in a personal injury lawsuit.